This year’s 2019 Open Compute Project (OCP) Global Summit hosted more than 3,400 attendees interested in the open hardware ecosystem. SNIA’s Computational Storage TWG had a major presence with a presentation on An Update on the New SNIA Computational Storage Technical Work Group: Contributing to Industry Understanding and Use of This New Paradigm of Computer Architecture and a call-to-action to join their work, as well as a lively panel discussion on the directions, opinions, and futures of this exciting technology. Watch videos and presentations at www.snia.org/computational. Conference calls are now on Wednesdays with an alternating, geo-friendly time slot to accommodate North America, EMEA, and Asia Pacific. Upcoming events include a planned session at August’s Flash Memory Summit in Santa Clara, CA. SNIA members are encouraged to learn more about this work by joining the TWG. Non-SNIA members are welcome to join SNIA in order to participate. Follow activities on Twitter with the hashtags #computationalstorage and #SNIAcomputational. Whether you missed this year’s SDC EMEA or didn’t have time to get to all the sessions you wanted, or you’d like to share what you saw with colleagues, we’ve got you covered. 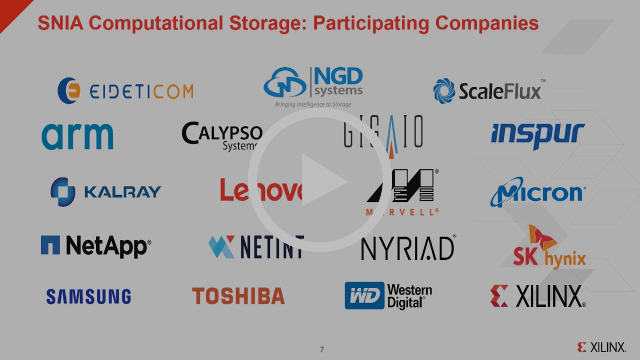 Check out the SDC EMEA 2019 playlist on the SNIAVideo YouTube channel where you’ll find presentations on Computational SSDs, Gen-Z and Storage Class Memory, Persistent Memory, NVMe™/TCP and more. 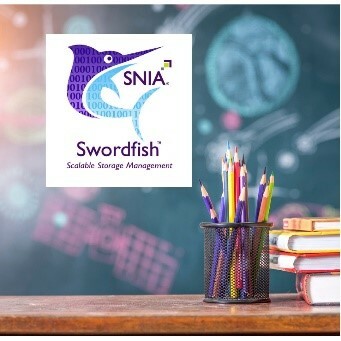 Tune into SNIA’s YouTube channel, SNIAVideo, and get schooled in the SNIA Swordfish™ storage management specification. The latest addition to the Swordfish School playlist features the “SNIA Swordfish Emulator Setup and Usage” video hosted by Sean McGinnis, principal architect, Huawei, and member of the SNIA Scalable Storage Management Technical Work Group. Watch here to learn more about the installation and use of the Swordfish API Emulator. Use the emulator to learn about Swordfish system hierarchies, prototype implementations, and simulate systems to help you speed the development of your Swordfish implementation. Remember: your one stop shop for everything SNIA Swordfish is https://www.snia.org/swordfish. Check out the top reasons to join SNIA in our Membership Infographic and see the full list of SNIA Members here. If you are planning to attend the Open Infrastructure Summit in Denver, please mark your calendars for the Open Storage Management Birds-of-a-Feather session Monday, April 29, from 2:50 p.m. – 3:30 p.m. Join members of the OpenSDS project and the SNIA Scalable Storage Management Technical Work Group (which develops SNIA Swordfish™). 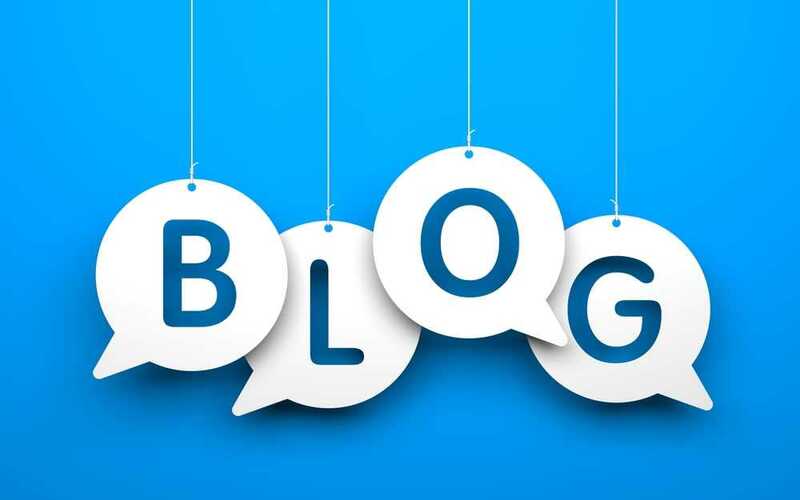 Be a part of the conversation and learn about the current state of storage management, the efforts underway to create consistent interfaces, and tools for integrating and managing storage and its role in open infrastructure management. You can add it to your conference schedule here. 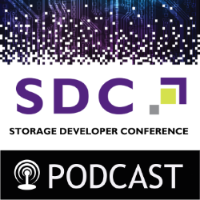 Produced since 1998, SNIA's Storage Developer Conference (SDC) is the only conference created by developers, for developers. Taking place on September 23-26, 2019 in Santa Clara, CA, SDC is the destination for technical discussions and education on the latest storage technologies and standards. Gain exposure to the work you are doing by speaking at SDC. Share your knowledge and experience by submitting a proposal for consideration. The deadline to submit is May 10. 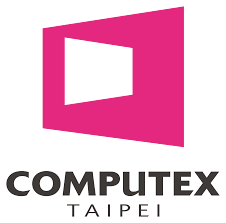 SNIA will be at COMPUTEX in Taipei May 28 – June 1, 2019. A special SNIA industry event will be held with executives of industry companies on May 30. Watch this space for the details next month. If you are an industry executive interested in participating in the event, please e-mail membership@snia.org and details will be sent as soon as available. July Technical Symposium - July 22-26, 2019 in Portland, OR – Portland is busy in July. Book travel and hotel soon! We’re all accustomed to transferring money from one bank account to another; a credit to the payer becomes a debit to the payee. But that model uses a specific set of sophisticated techniques to accomplish what appears to be a simple transaction. We order goods online, reserve an airline seat over the Internet and update photographs on Facebook. Can these applications use the same models, or are new techniques required? The research will be followed by a panel discussion with Scott Sinclair and experts from the SNIA Cloud Storage Technologies Initiative. Kubernetes (k8s) is an open-source system for automating the deployment, scaling, and management of containerized applications. Kubernetes promises simplified management of cloud workloads at scale, whether on-premises, hybrid, or in a public cloud infrastructure, allowing effortless movement of workloads from cloud to cloud. How does Kubernetes orchestrate & manage storage? Can Kubernetes use Docker? How can we build and use systems based on PM? Do we need a new programming model to take advantage of PM? We value your feedback. Please send any comments or suggestions to the SNIA Matters editor, Diane Marsili. Copyright © 2019 SNIA, All rights reserved.